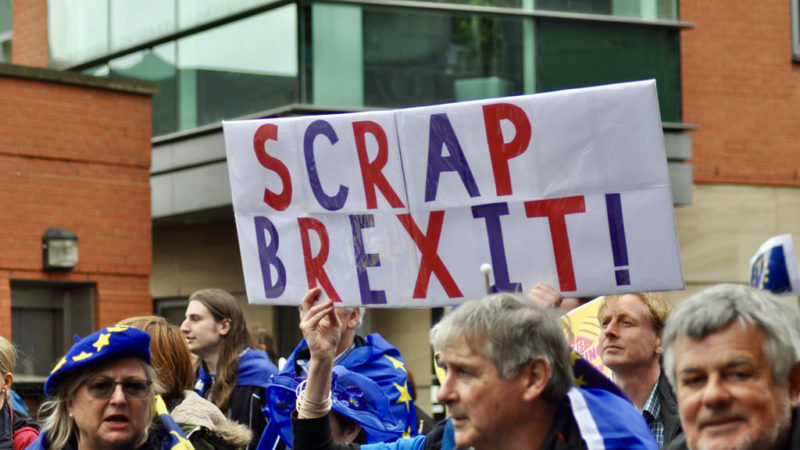 Molly Scott Cato MEP looks at the legal and practical implications of revoking Article 50. There’s nothing like a dose of No Deal reality to bring into sharp focus the benefits of our EU membership. Of course, you may believe that grounded flights, invalid driving licenses and running out of food and medicines is just Project Fear, and we will muddle through somehow. But ‘muddling through’ is a long way from what Brexiters promised us – and is leading many to wonder whether, and how, we can hit reverse gear. What’s happened to Liam Fox’s ‘easiest free trade deal in the history of mankind?’ Or Boris Johnson’s assurance that there was no need to plan for a No Deal outcome, because ‘we are going to get a great deal?’ A great deal of uncertainty and anxiety for anyone who eats, takes medicine or travels, maybe. The frankly frightening potential implications of crashing out of the EU on March 29th next year is mirrored by a growing realisation that we cannot leave the future of our country in the hands of MPs. The Tory Party is too busy fighting its own internal civil war, egged on by Rees-Mogg’s Mafia. Labour too are hopelessly divided with a leadership that appears asleep at the wheel as we head towards the cliff edge. This explains the growing support for the idea of a People’s Vote, with polls consistently showing that many more people are in favour of this than against. 1. Is it possible for the UK to unilaterally revoke Article 50? Until we leave, the UK has the same rights as any other EU member state, and that includes the right to revoke Article 50. The former Director of the European Council’s Legal Service confirmed that the decision to withdraw Article 50 is up to the UK, as has the author of Article 50 himself, Lord Kerr. But this has always been a political rather than a legal decision anyway. Understandably, EU officials want to see a fundamental shift in British politics before agreeing an extension of the UK’s membership. But there have been repeated assurances by Council President Donald Tusk that the UK can change its mind and that the EU 27 are open to a ‘no-Brexit’ option. 2. Will we keep the same terms that we have now if we revoke Article 50? The UK currently enjoys several rebates and opt-outs from EU-related obligations. Key amongst these has been our ability to remain outside the Eurozone. Some argue that if the UK were to abandon Brexit, the EU27 would not allow us to retain membership under the current conditions and force us to give up these opt-outs. However, if the UK decides not to leave the Union before March 2019, it could block attempts to strip away these opt-outs, as such decisions must be agreed unanimously in the Council. This point has been made by the European Council’s Legal Service and also by QC Jessica Simor. So we can keep our current terms of EU membership – but only if we decide to revoke Article 50 before 29 March 2019. This is undeniably a sensitive issue in the Brexit process, especially since the EU Treaty itself stipulates that the withdrawal negotiations should be completed within two years. However, this is not an absolute provision and it would be possible to extend this time-period. It is hard to imagine the EU27 ejecting the UK if the country requested extra time to hold a referendum on the Final Deal. Which brings us back to the People’s Vote, an idea that has always had the backing of the Greens and Lib Dems – but is also winning over many Labour MPs, while 80% of Labour members support the idea. There is even now a Conservatives for a People’s Vote group. And a petition calling for this is now marching towards a quarter of a million signatures. A People’s Vote can end the Brexit nightmare – democratically. Article 50 can be revoked. We can retain the many benefits we currently enjoy from our EU membership. Molly Scott Cato is the Green Party MEP for the South West and Gibraltar.